Kemonomimi Otome Life is an series of visual novels made by HolyShit, accompanyed with artist Maple-chan, character designer KurokoKani, and PinkiePlush100, the background designer. Also, we are emailing you when the full version of Part 1 is done. 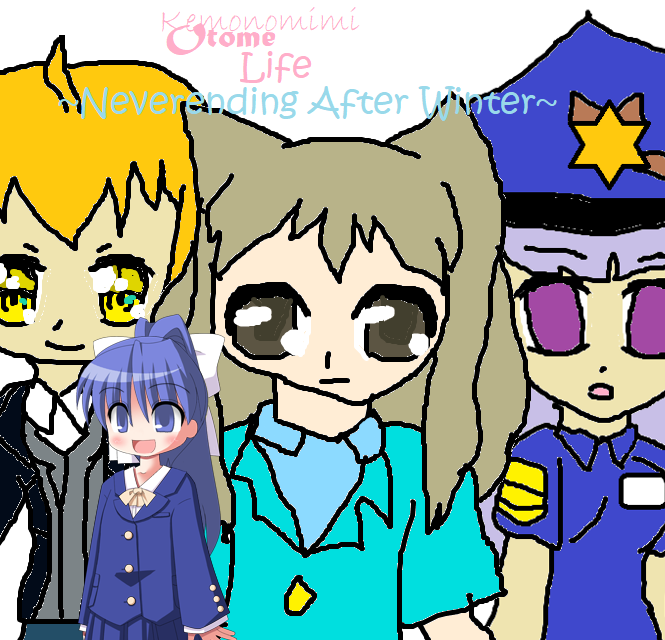 Also, Maple-chan helped us created this visual novel with her cute arts with Paint Tool Sai! Thanks to Maple-chan for helping us out on my new visual novel! Also, Kemonomimi Otome Life will be spread to DLsite and many people from foreign countries also play this! We haven't made a Windows/Linux release because of the error that happened in the middle of what could have happened the other day. Sorry for all of the Windows and Linux users who already downloaded the original part. I hope you guys play the Windows/Linux version. Kemonomimi Otome Series is now CANCELLED. Kemonomimi Otome Life Now Avaliable For Windows and Linux! !